We are going into the home buying season. Prices look strong for sellers and there is quite a bit of talk about the low inventory. You might be thinking that now is the time to put your home on the market while things look good. 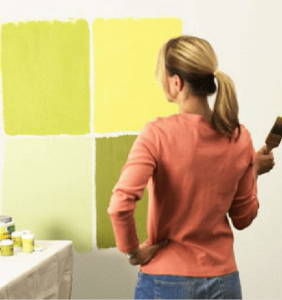 Before doing so, you start to look around your home at the projects that may need to be addressed to ensure that you get the top dollar for your home. Some may be easy fixes- with not too much time or money involved and there are others that you may want to reconsider. While there is no clear cut standard as each house is different, here are some points that might help you work through the thought process. Painting- Definitely a cost effective repair that will give your home a real uplift. Major kitchen upgrades- unless there are some structural issues then this may not be a good investment, as many buyers like to bring in their own taste. Minor Kitchen upgrades- fixing and leaks, changing out light fixtures can make a big difference. Energy efficient Windows- while they can be a good selling point- it is also a project that can creep up fast in both cost and time. Floors- refinishing wood floors, deep cleaning or replacing old carpet, fixing cracked tiles can be well work the investment. Front entrance- fresh coat of paint for the front door – new light fixtures, a pot full of flowers all will offer a warm welcome for prospects when they come to visit. Still not sure where to begin? Give one of our agents or our office a call and will be happy to meet with you to discuss getting your home ready for market.